FRESH INVENTORY! CLEAN CARFAX-NO ACCIDENTS, PRIOR CPO CAR! 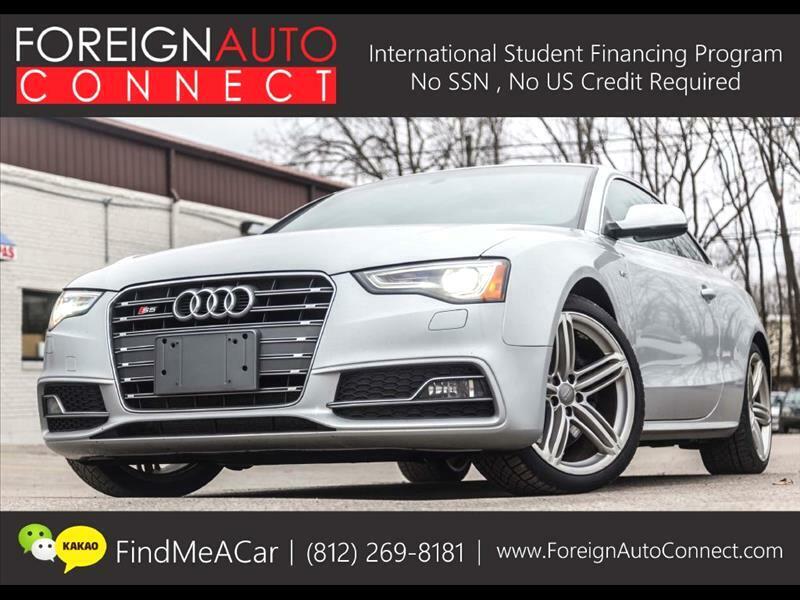 2013 AUDI S5 QUATTRO PREMIUM PLUS 3.0T! DYNAMIC SPORT PACKAGE, CARBON FIBER INTERIOR TRIM, S-LINE WHEELS, NAVIGATION, PANOROOF, BACK UP CAMERA, FULL LEATHER INTERIOR, HEATED SEATS, BANG & OLUFSEN PREMIUM SOUND, KEYLESS START, KEYLESS ENTRY, & MORE!! !